“We should protect and promote the right of all citizens to quality basic education formal and non-formal education,” said Education Secretary Armin Luistro. “Education for all” has been the advocacy of Education Revolution Movement of the Philippines (EdRev). Part of this advocacy is to encourage learners both out-of-school youth (OSYs) and adults who are not able to finish school due to various reasons ranging from poverty to personal concerns to finish their schooling thru the alternative learning system (ALS), a program of Department of Education (DepEd), which EdRev supports. For this year 2011, EdRev will start conducting review classes for the third batch of learners before they get the ALS accreditation and equivalency test. The passers for this test will get certification of learning achievements at two learning levels- Elementary and Secondary. 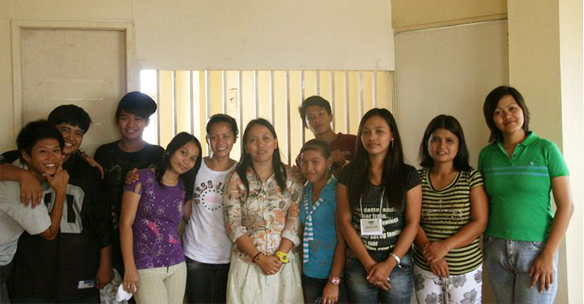 To facilitate the review sessions, EdRev looked for possible volunteer tutors/teachers who will educate the learners. The four (4) volunteer teachers called the Instructional Managers (IMs) are identified. They are: Mr. Hansel Javier, ALS coordinator; Ms Mary Grace Gabito, registered nurse; Ms Karen Roxas, public school teacher; and Ms Jobde Cordeta, businesswoman. The founding trustees of EdRev, Mr. Roy Gravador and Ms Juliet Carolino will also be part of the roster of IMs who will conduct review classes for around 120 learners. The subjects reviewed include English, Math, History, and other High School subjects. Last January 28, 2011 at Sta. Maria Central School in Sta. Maria, Bulacan, the orientation on ALS was conducted. The review sessions will be conducted later part of February 2011.